Accomplishments, honors, recognitions: Written numerous business case studies that have been published in The Business Case Journal, The CASE Journal and Emerald Group Publishing. 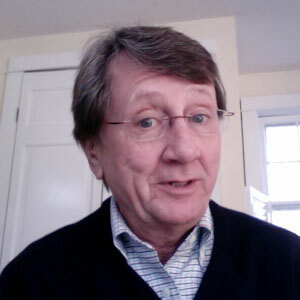 Published in two editions of textbook, Strategic Management: Theory and Practice, by John A. Parnell, Ph.D.
Fun Fact: Tom and his wife were caretakers of the lighthouse station on Little River Island in Cutler, Maine from 1977 to 1978. I can’t believe I get these services for free! I’ve met with Tom Leach 4 times and his help has been invaluable! I believe that working with these offices has improved my chance for success – every business should visit the SBDC. I could not have continued without the support and advice given to me from these two counselors. My business plan was a train wreck. It was totally reworked and explained to me during each session. The market research and financial sections of the plan were very impressive. They were patient with me during this process. The end result made me confident and prepared going into negotiations with potential lenders.